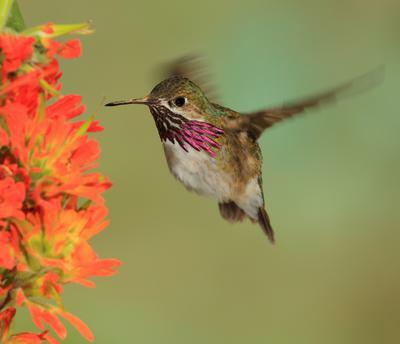 Dainty Calliope Hummingbird Love the Cold Mountains! 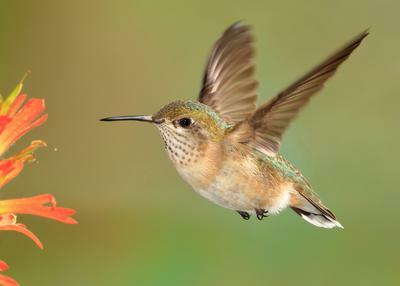 I wonder why the tiny calliope hummingbird travels all the way from Mexico to the cold mountains of the Pacific Northwest. I get a few at my home near Yellowstone National Park, but they are far more abundant in the mountains of northern Idaho and especially southern British Columbia. They are unafraid of me and my camera equipment. Often they swing on the wires connecting my Canon Speedlites and sometimes on my hat. Males arrive first, but are followed by the ladies within a week. The Calliope is quite plentiful near Cranbook, BC by mid-May (Rufous too), and the black-chinned arrive during the last week of May and early June. 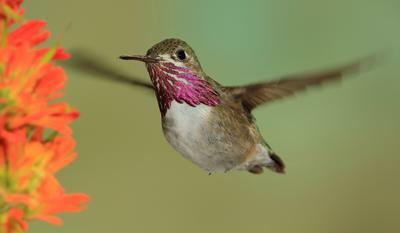 A lady bands hummingbirds at the Bull River Guest Lodge. 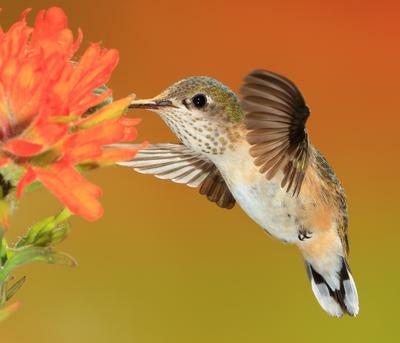 Though none of her banded hummers have been found anywhere else, she often catches individuals that were banded at exactly the same spot in prior years. The calliope seem to have tremendous site fidelity. Since these returning birds already know me and how to work my photo setups, it is a simple matter of capturing images like these.